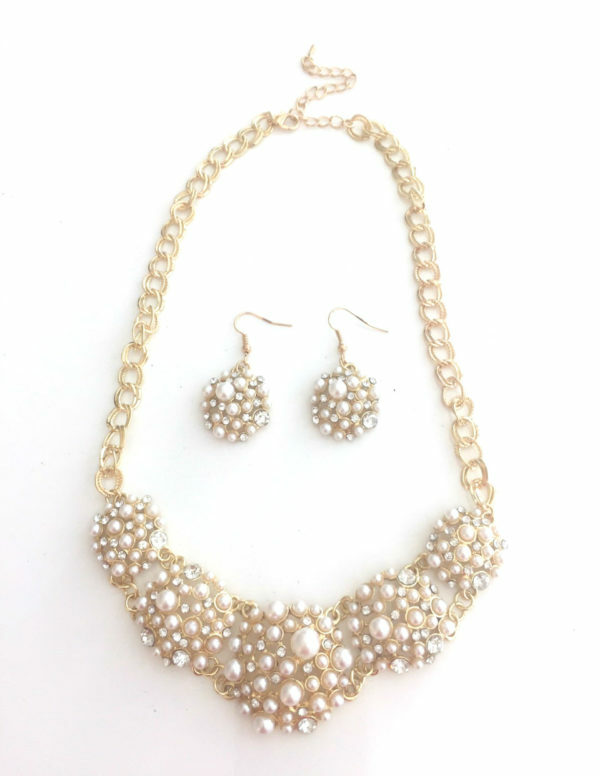 Tags: earrings, necklace, pearls, simulated pearl, statement necklace. Our Clustered Pearl Statement necklace has all the makings of the traditional pearl necklace without being traditional. Simulated pearls are clustered with crystal rhinestones and strung onto a gold toned chain. This little number keeps it classy but adds that bit of glam to spruce up an outfit, perfect for your girls brunch get together, Easter dinner with the family or whatever the occasion may be. 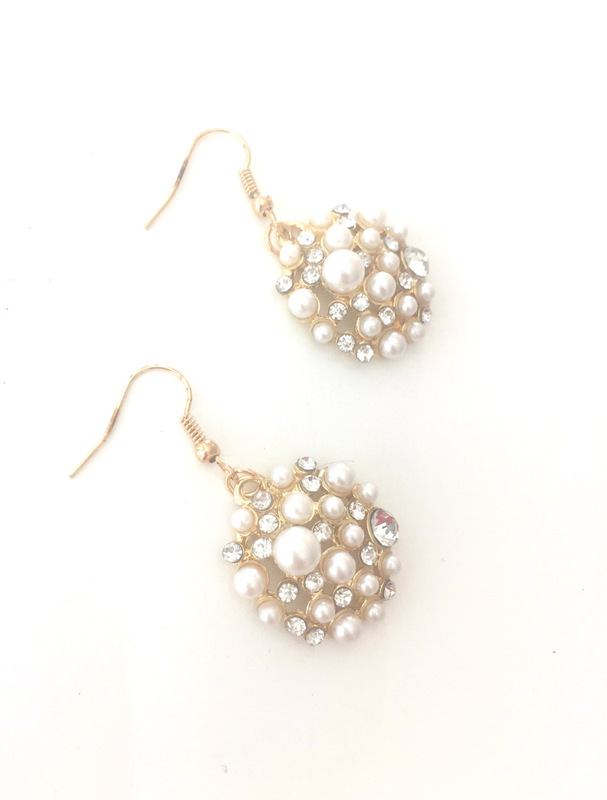 Includes a coordinating set of clustered pearl/ rhinestone earrings to complete your look. The gold toned chain comes with a lobster clasp and includes an extender.